We've seen a number of smartwatches launch with Google's Android Wear platform, and this makes sense: seeing that Android Wear has far greater potential for app development and greater access to the Web than any other open-sourced platform, it makes sense that many smartwatch manufacturers would want to bring their watch the greatest publicity possible. And yet, some smartwatch manufacturers are finding that skinned versions of Android that allow them to customize them as they see fit could be the one thing that sets their smartwatch apart from the uniform, deemed "boring" (by some, that is), AW platform. 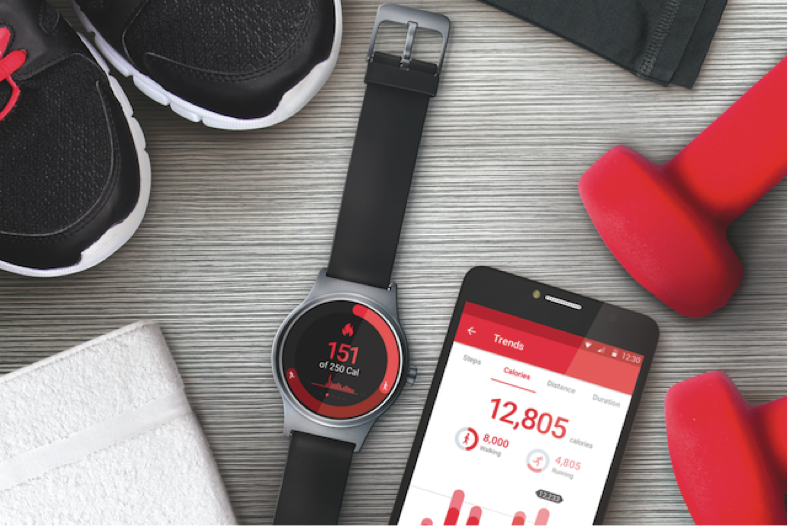 That is the case for Alcatel, who announced its Alcatel MoveTime WiFi smartwatch at IFA 2016 in Berlin, Germany last week. The MoveTime WiFi (try saying that with food in your mouth) features a 1.39-inch, AMOLED display with a 400 x 400p screen resolution. The MoveTime WiFi has a wider display and brighter screen resolution than even Samsung's newly-announced Gear S3 Frontier and Gear S3 Classic, for those who need to put Alcatel's new smartwatch in a proper market position. There is little information about the battery capacity and battery life, and so on, but Alcatel says that the smartwatch is good at text messaging, notifications, calling and receiving calls, and gesture functions such as "tap on the screen to play or pause music, or rotate the wrist to play back or forward a song or to activate the camera for quick snaps." We can tell from this that the Alcatel MoveTime WiFi has a camera as well, and this device appears to have the capabilities of a 3G/4G smartwatch. With cellular data involved, the MoveTime WiFi may never make it to the US, though, since cellular-enabled smartwatches mandate a little more than just the usual FCC regulations (they also require carrier approval and sales). The Alcatel MoveTime WiFi could retail for $150 when it hits the market, but we'll have to keep an eye on this smartwatch and its arrival. We know few details right now, but hopefully, we've provided some insight into this device's potential.